"Staff is nice and helpful." 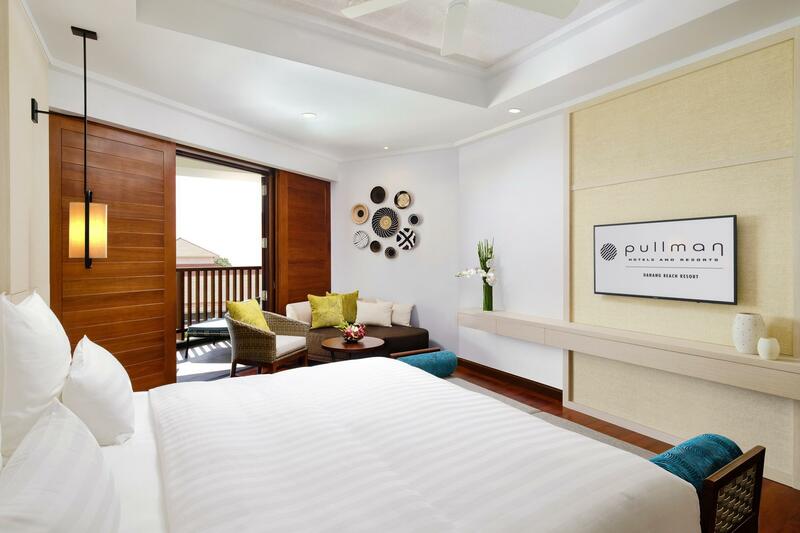 Have a question for Pullman Danang Beach Resort? "The rooms are huge and amuzing." 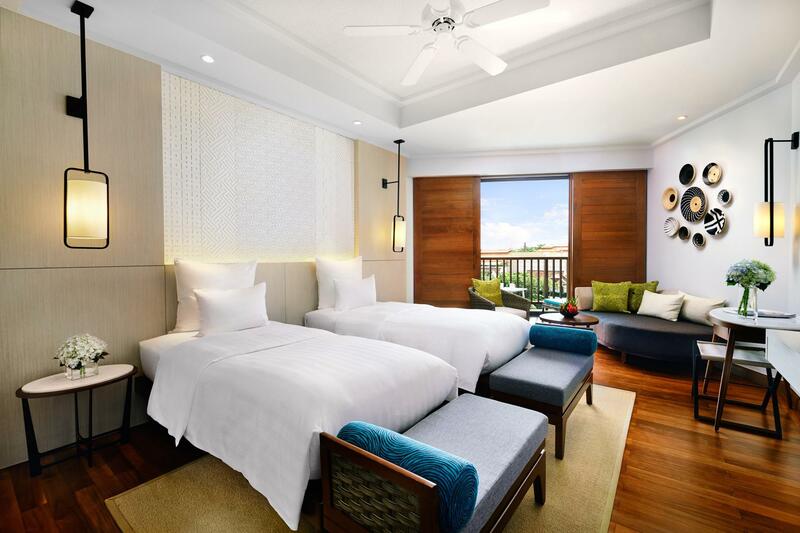 Located on the stunning Danang Beach and just 15 minutes from downtown and the International Danang Airport, this luxurious resort offers a variety of activities and facilities for business and leisure travelers. 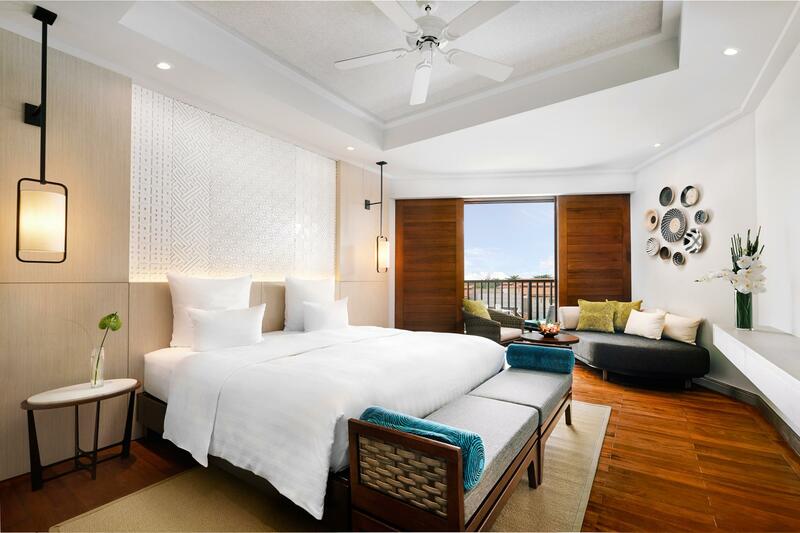 All 186 guest accommodations feature stylish decoration, private balconies, and thoughtful amenities to ensure its guests a truly pleasant stay. The on-site restaurant, Epice, with an open kitchen, the contemporary beachfront Azure Beach Lounge, and the elegant Infinity Bar serve an array of fine dining options from traditional to fusion specialties. The resort offers complimentary Wi-Fi, an infinity-edged swimming pool, laundry service, a concierge, a shuttle bus, and tours to ensure maximum comfort to its guests. 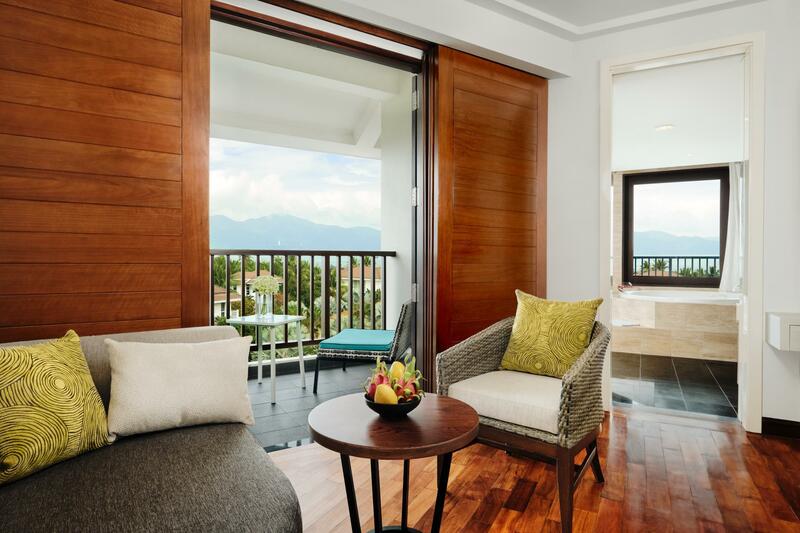 Take on a journey to explore the beauty of the Vietnamese coastline here at Pullman Danang Beach Resort. 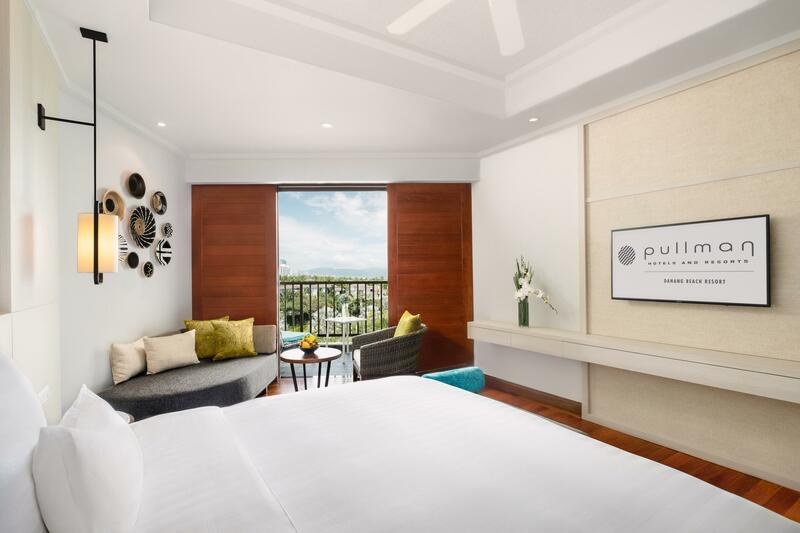 "Good hospitality, good food, the room is very clean, great b..."
Thank you very much for your feedback and we all look forward to welcoming you back at Pullman Danang Beach Resort in the near future. This is our 2nd visit and we weren’t disappointed. 15 mins taxi ride from the airport, 30 mins to Hoi An, stunning beachfront location, excellent dining (we don’t usually eat in the hotels) . My husband and I have travelled extensively around Asia, the reason we went back to the Pullman is because of the staff. Everyone we met were friendly,attentive and genuine. If you are visiting Da Nang you will not be disappointed staying at the Pullman. Friendly staff but the kids club need some improvement. Some room like my junior suite is not able to view sea view at all for a room more than usd 320 per night. 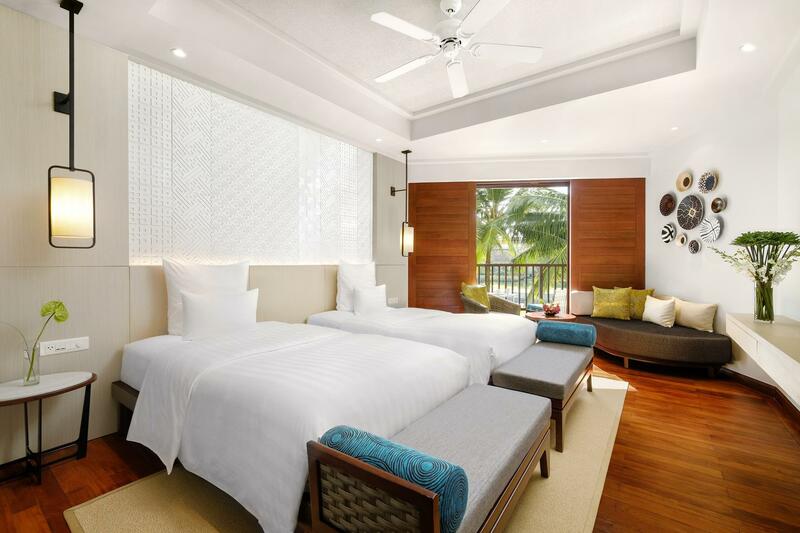 Thank you for taking the time to tell us about your experience at the Pullman Danang Beach Resort. I am sorry that your experience did not meet your expectations; please allow me to express my sincerest apologies. We are having appropriate action to make sure this kind of problem will not happen again. Hope you let us a chance to better serve you in the future. Thank you. My husband and I stayed for 2 nights...it was not enough - wished we had stayed longer The resort is so beautiful, we did not want to leave Staff very friendly and helpful Breakfast was amazing Resort is a short cab ride to the city Could not fault this place You will not regret it!! 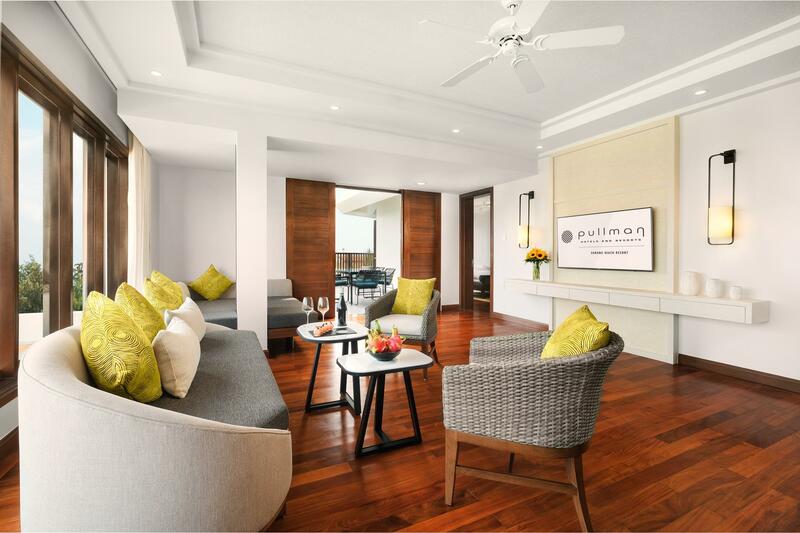 Thank you for taking the time to tell us about your experience at the Pullman Danang Beach Resort. We are delighted to know you have great experience with us. We are looking forward to welcoming you back soon. Staff is nice and helpful. Location is perfect, just 10-15 minutes ride to city center. Spa is great with professional therapist and luxurious environment though it’s a bit pricy compares to those small spa salon. I will definitely come back to Pullman Da Nang Resort in the future. Thank you so much for your feedback. We are delighted to know that you enjoyed your stay in Pullman Danang Beach Resort. We are looking forward to welcome you back soon! Pullman Danang Beach Resort 이용 내역 설문조사에 참여해 주셔서 대단히 감사드립니다. 고객님으로부터 좋은 평가를 받는 것은 언제나 기분 좋은 일입니다. 고객님께서 제시해 주신 의견은 모든 팀원들과 공유될 것이며 이러한 의견은 지속적으로 높은 수준의 서비스를 제공하고자 노력하는 모든 임직원들의 사기를 북돋는 데 큰 버팀목이 될 것입니다. 고객님의 소감을 알려주셔서 다시 한번 감사드리며 향후 보다 나은 서비스로 만나 뵙기를 바라겠습니다. 감사합니다. We are delighted to know that you have great experience with us. We are looking forward to welcoming you back soon. the resort is so fabulous. room is v nice with seaview, services are good. breakfast has lots of variety and can order cup of latte or cappincco. we jointed their countdown gala dinner with performance and buffet. We love there and will back again next turn with kids. We are waiting for your coming back. After staying here a number of times we were put in the best room, so we were told, a cottage facing the ocean. This was great until happy hour every day when the bass music was played on the beach reverberating through the room and removing the peaceful ambience that always used to exist in this hotel. Pullman Danang should not need gimmicks, it is an amazing location with great views, a beach bar with cocktails, no need for booming music at all. Thank you for sharing your experience with us. We are delighted to know that you enjoyed the cottage room. Your comment to the music at the beach will be discussed with hotel management. We are looking forward to welcoming you back soon. It gave us a wow when we stepped in the hotel. It has a breathtaking view of the pool and the sea from the lobby. Hotel offers a lot of beach activities which we two enjoyed a lot. The hotel is of smaller scale but it gives us privacy and we enjoy the quietness. It's the closest resort to downtown and hotel can offer bargain airport pickup service. Breakfast is great with lots of varieties though the a la carte is quite pricey and disappointed. We very much appreciate your comments regarding your stay at the Pullman Danang Beach Resort. It is always a pleasure to receive positive feedback. I will share your comments with our team. I am sure that this feedback will serve as an encouragement to all of our staff as we strive to continuously improve the quality of our services. Thank you again for sharing your experience, and we hope your next visit will be as pleasant as the previous one. Pullman is indeed a lovely resort with manicured landscape and awesome surroundings. We enjoyed taking pictures of the views. It's clean and the beach is just amazing. The staff are always alert and friendly. It was a good stay being that the weather was pretty cold and windy that we weren't able to swim in the ocean. The hotel has some good facilities to keep us busy. They're buffet breakfast was also really good with a lot of choices to choose from. The only thing that I didn't like was the pillows in the room. All the pillowcases had Velcro on them and they were coming off and would scratch you once in awhile while sleeping. Also the in room plumbing needs work. Our room didn't flush properly and the sink would get stuck once in awhile. I do appreciate very much our upgrade and the friendliness of the staff. They were there always smiling and quick to respond to any requests in your room. I did enjoy my stay here but with the money per room I spent having stayed in a 3 star hotel with great staff service as well, not sure if I had value for my money. This is a stunning hotel. The rooms are great, we had a bungalow which then has a beach view. Really well-equipped and beautiful. The staff try hard but the problem is that they have big groups coming in who aren't used to being in such environments. We had children urinating in the pool and running naked around the restaurant for example. The staff don't know what to do as these are guests. Spoke to the management and they don't know what to do either! The restaurant for breakfast has a good buffet but very noisy and has the ambiance of a 1970s public swimming pool. There is no club floor/lounge etc so your choices for dining, variety, peace are quiet (although you can pop round to the Furama next door which is quieter and has a kids and adults pool, nice restaurants and is a quiet place to relax. So a shame really, fantastic but the experience is ruined. Firstly, the room is clean and cozy, secondly, the meals at the restaurant were great and thirdly, the staff were helpful, polite and friendly. It was a fantastic experience for my husband and I. The facilities are good and the place is clean. One thing to note, we actually found a hair in a baguette during our lunch on arriving. We informed the waiter and the manager gave a complimentary ice cream. It was not the ice cream we were yearning for. We only wanted to give them a feedback that for a 5-star hotel, such standards should not be compromised. Nonetheless, we still got the ice cream. Overall, the stay is still very good because of the helpful, polite and friendly staff. We really enjoyed being able to relax in the dining car, it made all the difference. The service on the train and at the hotel was exceptionally good. the staff were consistently friendly and helpful. Early check ins and late check outs at no extra cost made it even easier. The buffet breakfast was good. The only drawback was that the complimentary evening meal we were offered as part of the package at the hotel was extremely disappointing. all public spaces in this hotel are fantastic. This use to be a Life Resort that was converted to a pullman so it does look very eco-friendly. the pool is open until +10PM so it is a chance for a night swim if desired. the surrounding are incredible by day and more at night. The rooms are superb. clean and comfortable. the Employees are very attentive to all our requests. All was great until we decided to settle down for the night. It is when the lack of acoustics between the rooms became evident. our neighbour decided to party until 3 am and we could hear all of their murmurs. THe hotel is also family friendly so family will usually have more than one room and you can hear every time a door is shut. All the hard surfaces in the corridor create the sensation that you are sleeping next to a train track everytime someone with suitcase walk by. all in all facility would be better without the room noise.